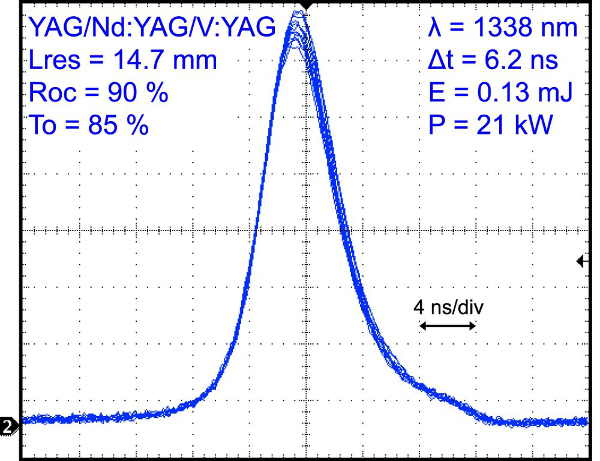 YAG crystals doped with three-valent vanadium V3+ in tetrahedral positions hint at being efficient passive absorbers for lasers operating in the 1.3 µm region. 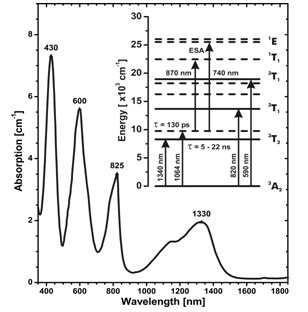 Efficient Q-switching and modelocking has been obtained with a number of active media such as Nd:YAG, Nd:YAP, Nd:KGW, Nd:YVO4 under flash-lamp and diode pumping. V:YAG plates are available in a wide range of initial transmission values and with diameters between 2–10 mm. 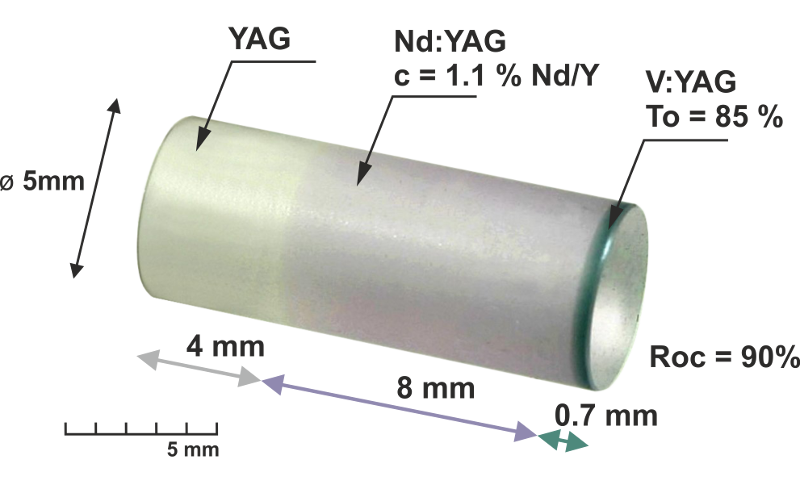 Cr4+:YAG provides a large absorption cross section in the 0.9 - 1.2 micrometer spectral region, which makes it an attractive choice as a passive Q-switch for diode or lamp pumped Nd:YAG, Nd:YLF, Nd:YVO4, Yb:YAG lasers. Cr4+:YAG has a high damage threshold, good thermal conductivity, good chemical stability and is resistant to ultraviolet radiation.